This 5g/hr Ozone generator provides your home with 5 grams per hour of ozone gas that you can dissolve into your water. The ozone is dissolved at high enough concentrations that it can be used for a variety of applications, including in the kitchen or bathroom sink or with your laundry machine. Any of your home’s water lines will benefit from ozone. Use this high concentration of ozone to reduce or eliminate bacteria, viruses, fungus, spores, toxic metals, and pesticides from your food, plants, laundry, and more. This is an affordable home solution for instant ozone at beneficial concentration levels that do not exceed toxic ambient ozone levels, when properly degassed. Read why this is important. Inject ozone straight into your water line with a venture tee (sold separately) to instantly created pure, ozonated water. 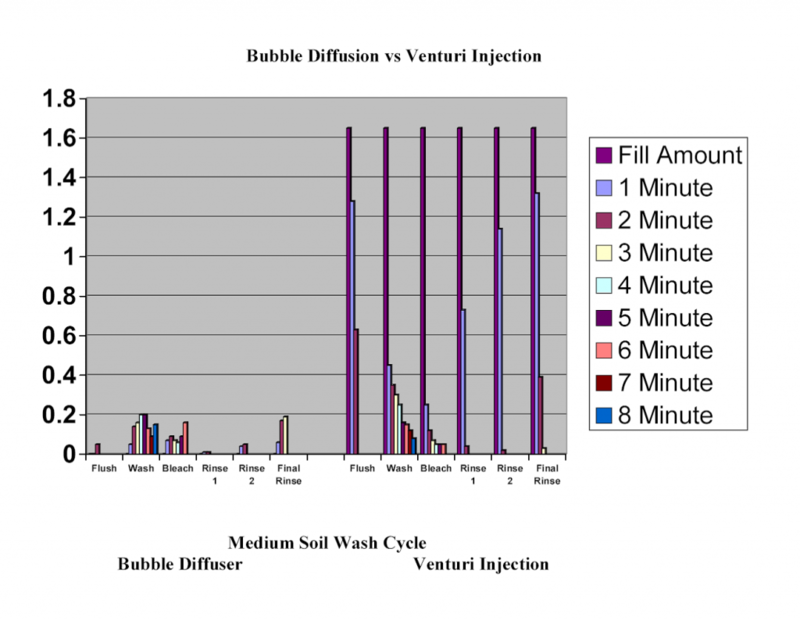 With the use of a venturi, you can create an ozonated water flow of 200L-400L/H. Principles of injection apply and if your PSI is too high or your water flow is too low the venturi will not create suction to turn on the machine. Also the higher the elevation of where you live a greater volume of water flow is needed to create suction. So the installation of this system is not for the typical plumber or homeowner. The machine has an intelligent micro-pressure start-stop system, and uses DC 5V control system for easy operation. No daily maintenance is required. Studies have shown that exposure to as little as 0.1 mg of ozone per liter of water for 15 minutes completely kills E-Coli. 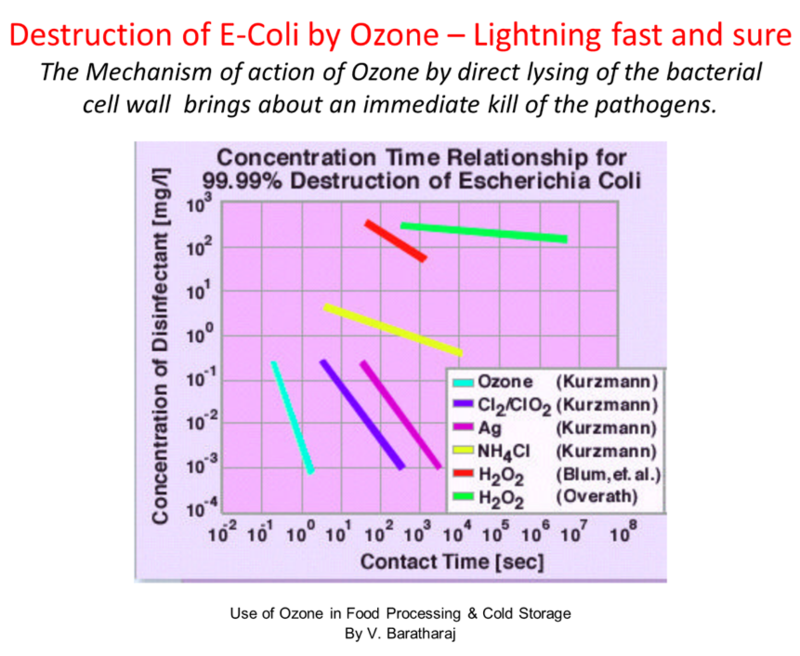 Ozone has been demonstrated as the most effective Biocide with significantly increased lethality. Ozone requires very low contact time compared to Chlorine and requires much lower concentrations for effective kill, compared to conventional biocides. Polio virus types I, II, III and other problem microbes are inactivated when exposed to ozone in very low concentrations as shown in the table below.